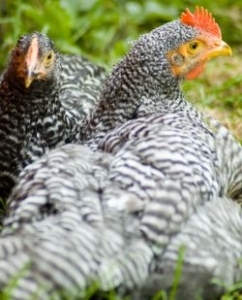 Feeding chickens is more than merely putting out some grains for your hens. 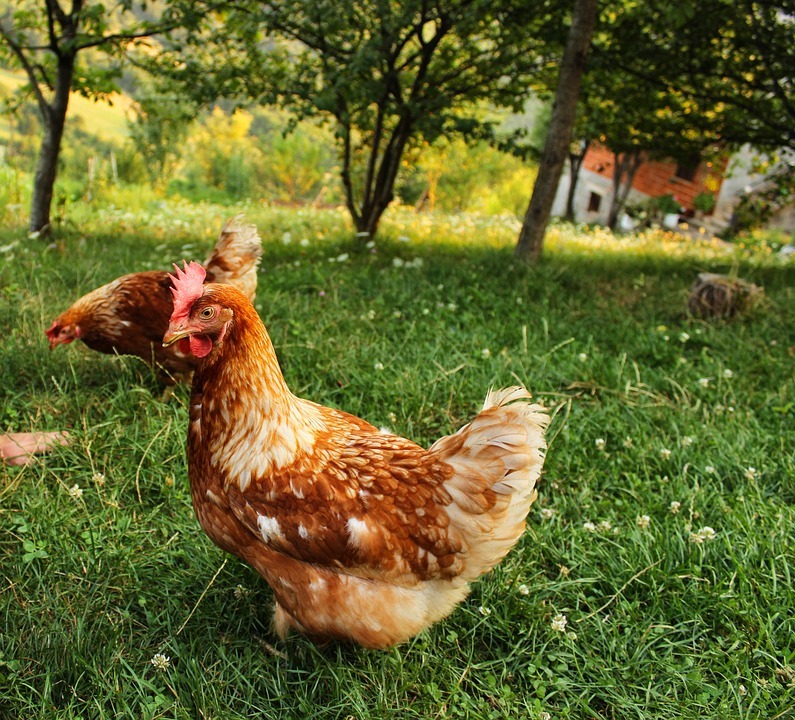 If you wish to grow chickens that furnish you with excellent quality eggs on a regular basis you need to know a few basics about feeding chickens. When chickens first start laying eggs, through the early laying cycle, they are still growing and maturing. Throughout this phase they require a larger quantity of protein. As egg production starts to diminish their protein needs also diminish. Big commercial chicken growers recognize that protein is high-priced so they keep an eye on protein quantities carefully when feeding chickens. They start by supplying 18% protein for the earliest 4 months of their egg laying period and then lessen it to 16% at 4 months. Protein is cut to 15% when the laying birds drop to roughly 60% egg laying production from their peak. that offers about 16% to 17% protein levels. Mash is made from finely crushed grains and can be offered in two principal ways. It can either be combined to provide 100% of the hen’s day by day nutrient requirements or given as a supplement to other grains. Giving poultry a considerable percentage of whole grains immediately ahead of roost time can help them stay warmer and more comfortable through the night. Grit most commonly is provided in the manner of small stones or granite material and must be given to birds eating whole grains. Grit helps grind the grains and improving digestion. Hens will eat all types of stuff, including feathers, and grit must always be available to help birds assimilate these various items, even when being given an all-mash diet. Whole grains will normally cause hens to gain added fat which will normally cause egg laying to diminish, so it is a good idea not to feed too many whole grains. Additionally, whole grains, also given the name scratch feeds, are typically lower in protein, containing about 10%, so the mash will contain as much as 20% to 40% protein, but this depends on the amount of whole grains that are provided. A diet of whole grains and mash should provide total protein of about 16%. To slash the feed cost kitchen table leftovers and garden excess can be added to a hen’s diet. These types of food can be offered as a replacement for some of the whole grains, but must be provided in limited quantities as they will normally decrease the protein levels in the overall diet. Depending on the kind of kitchen table leftovers fed, they can also lead to bad tasting eggs. Giving them vegetable peelings or skins and green tops is good, but giving onions, fruit peelings or rind, and other strong-flavored foods are not. Calcium is one of the most crucial requirements in a layer’s diet because it is necessary to form sturdy egg shells. Giving hens an all-mash diet is typically sufficient because all-mash diets usually include about 3% or more calcium. If egg shell strength ever appears to become reduced additional calcium needs to be added to the diet. Calcium is generally provided in the form of oyster shells. Sanitary water is another necessary item that needs to be offered at all times. Egg production will fall if chickens are not given water for even short periods of time. Keeping the water sanitary by changing it daily is also vital because tainted water can deter hens from consuming the necessary amount. Soiled water can furthermore cause the spread of sickness and disease. 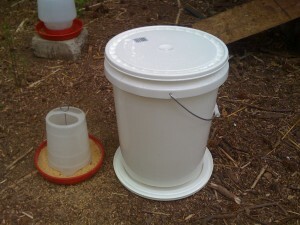 To maintain high egg laying production chickens need to be offered an adequate diet and plenty of uncontaminated water. Joshua has grown poultry for over 25 years and is an authority in getting maximum egg and meat production from his chickens. What's Eating This Egg? Need Your Thoughts.